2nd ODI India vs Australia Adelaide: India captain Virat Kohli is undoubtedly the best batsman in the planet currently and he gave his fans a demonstration of that during his 39th ODI century at Adelaide. 2nd ODI India vs Australia Adelaide: India captain Virat Kohli is undoubtedly the best batsman in the planet currently and he gave his fans a demonstration of that during his 39th ODI century at Adelaide. He is the No 1 batsman in the world in ODIs and Tests and this has been the case for quite some time now. But, there is a certain stat that has amazed the Virat Kohli fans. For the past three years, he has slammed a century on January 15. And that has been his first century of that year. In 2017, the ton came at Pune against England while chasing 350 to win. Kohli scored 122. Come 2018, in whites, Kohli slammed a ton against South Africa, it was in the second Test at Centurion. In 2018, it came against Australia on the same date. 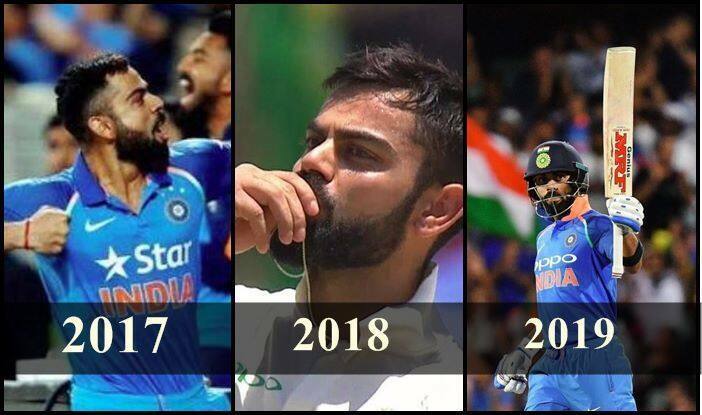 Virat Kohli :Jan 15 2017 scored 122 vs England. Jan 15 2018, scored 153 vs South Africa.